The unique properties of nanodiamonds make them suitable for use in a wide range of applications, including as biomarkers for cellular tracking in vivo at the molecular level. The sustained fluorescence of nanodiamonds containing nitrogen-vacancy (N-V) centres is related to their internal structure and strain state. Theoretical studies predict that the location of the N-V centre and the nanodiamonds’ residual elastic strain state have a major influence on their photoluminescence properties. However, to date there have been no direct measurements made of their spatially resolved deformation fields owing to the challenges that such measurements present. 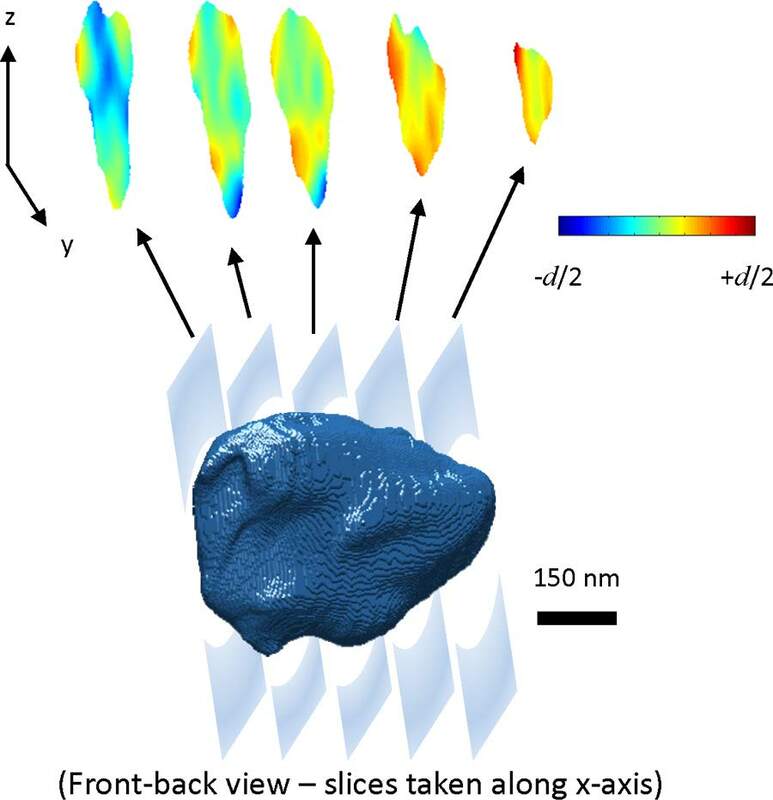 Here we apply the recently developed technique of Bragg coherent diffractive imaging (BCDI) to map the three-dimensional deformation field within a single nanodiamond of approximately 0.5 µm diameter. The results indicate that there are high levels of residual elastic strain present in the nanodiamond which could have a critical influence on its optical and electronic properties.